Ron Callis had the privilege of interviewing Ted Bremekamp, CTO of ETC, Inc from West Palm Beach, FL. Ted Bremekamp is the Chief Technology Officer and General Manager at ETC, a nationally recognized leader in the residential electronics industry. 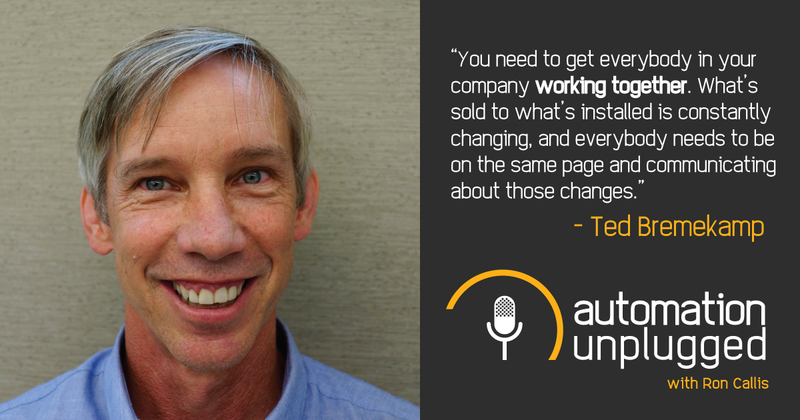 With a degree in Electrical Engineering from Notre Dame and more than a decade of experience in AV and automation, Ted is a recognized industry expert. Ted is also a member of ProSource’s board of directors and the President of the Bill Raskob Foundation, which provides interest-free education loans to deserving students throughout the U.S. In the interview, Ted discussed his role in running one of the largest custom integration firms (#15 on CEPro100 for 2017).